Master Kong's super satisfying wonton noodle soup. 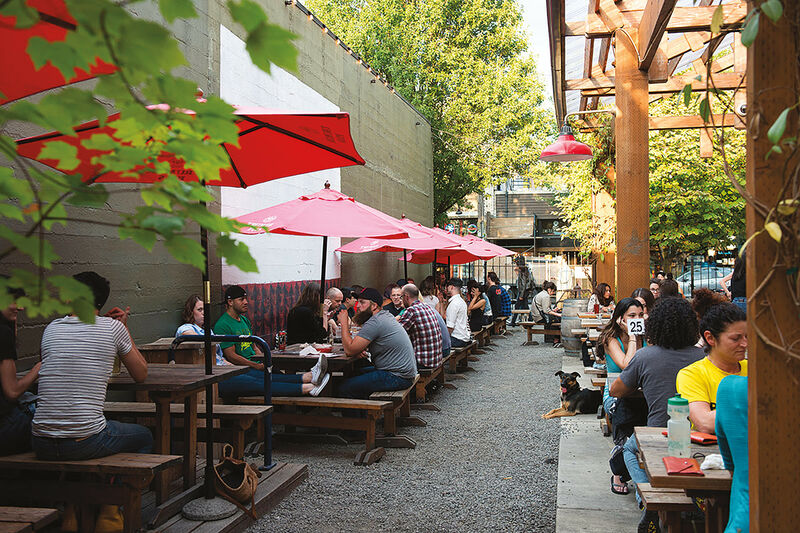 There are few spaces left in Portland that sound and feel like home, to me at least. 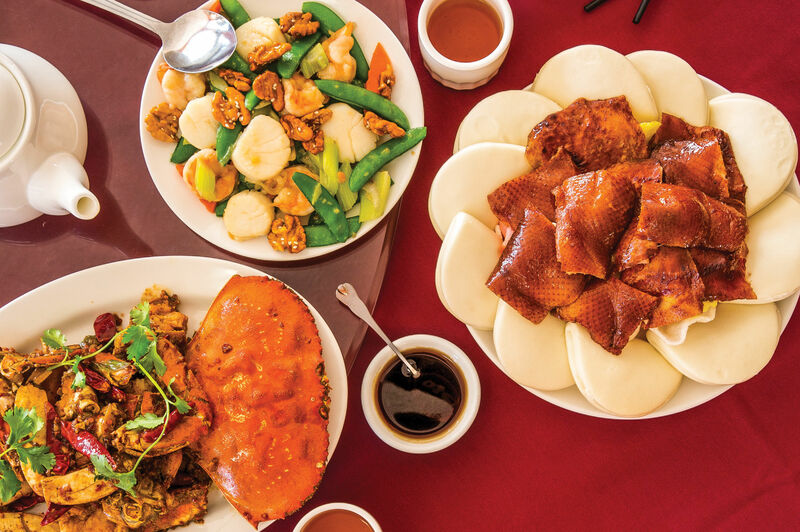 On a recent Saturday, at two month-old Master Kong (8435 SE Division Street), I sat in a sparsely decorated dining room with two dozen families chatting loudly in a swelling symphony of both Mandarin and Cantonese. The food and atmosphere felt more like the busy, family-filled restaurants—often just glorified lunch counters—that I left behind in Chicago’s Chinatown. Unlike most of the other Chinese restaurants in the city, Master Kong is as homestyle as it gets, and still a little rough around the edges. 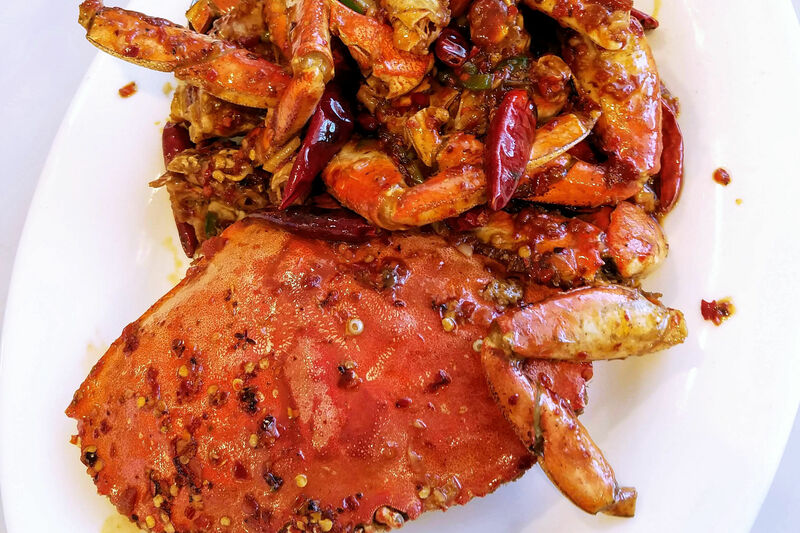 Helmed by sister-brother duo Amy and Kang Zhu, who also run Southeast 82nd Avenue’s Sichuan skewer spot Pot N Spicy, the North-meets-South mash-up of classic Guangdong cuisine and Northern Tianjin dishes is simple and practical. Essentially, it’s home cooking, streamlined. 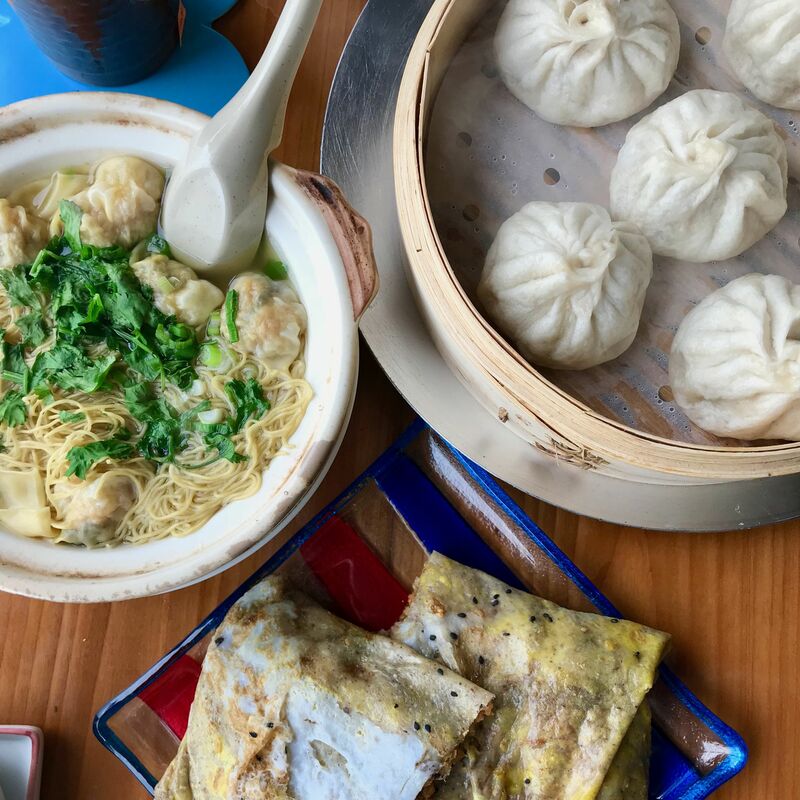 With a short menu of Chinese comfort food, it's a small, (sometimes) quiet place that feels like it should have always been a staple along 82nd. On both visits, we couldn’t resist ordering the wonton noodle soup, so far the closest version I’ve found in Portland to what I grew up eating in my grandparents’ kitchen and in Chicago’s Chinatown. 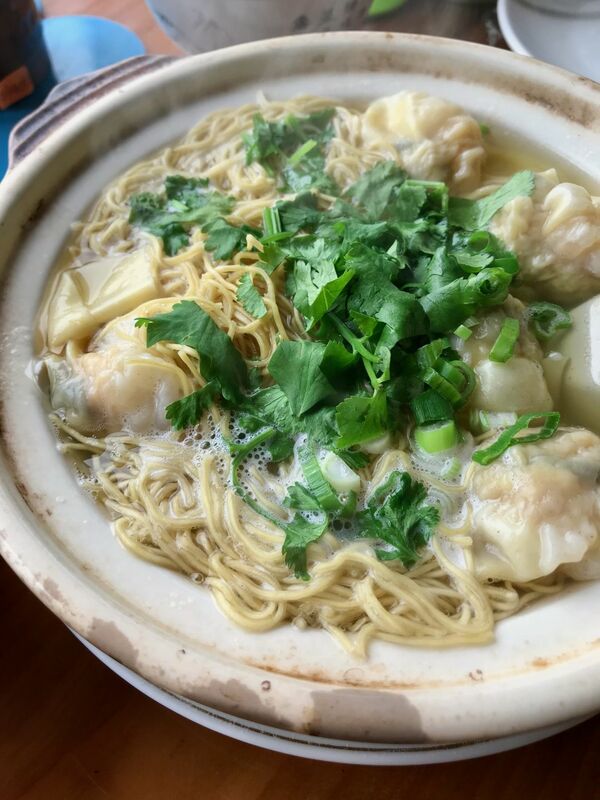 A wicked hot bowl of perfectly chewy noodles and tender wontons stuffed with pork, wood ear mushroom, and a whole shrimp arrive under a shower of cilantro and green onion. The broth, an opaque and balanced fish- and chicken-infused stunner, soothes the soul, and is cooked to a roiling boil in a clay pot directly over the stove’s burner. My first sip nearly brought me to tears. 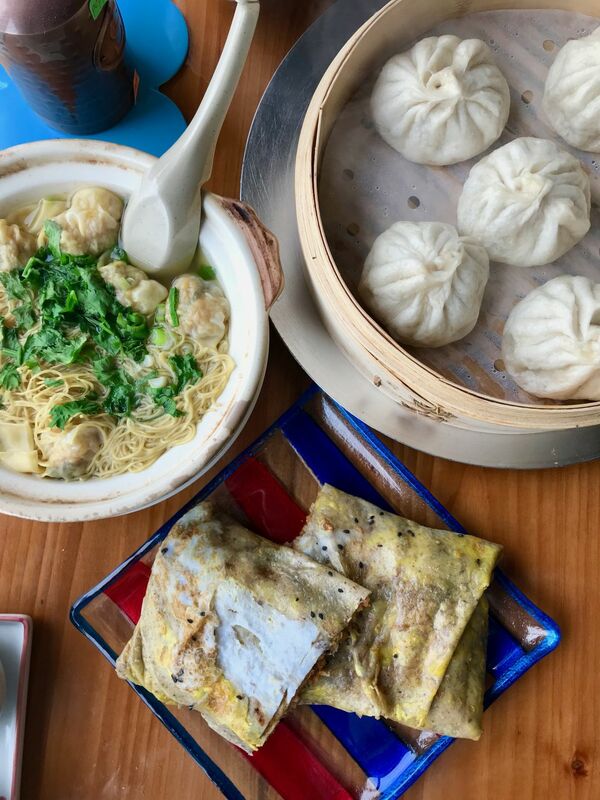 Master Kong's wonton soup, goubuli baozi dumplings, and jian bing. Elsewhere on the menu, you’ll find roujiamo, the Chinese “hamburgers” originating from the Shaanxi Province, here stuffed with tender shredded pork, onions, scallions, and cilantro in a pleasantly stiff, griddle-fried bun similar to an English muffin. Handmade pork dumplings, either steamed or pan-fried, are gingery and juicy with wonderfully soft, doughy skins. Two types of congee, one with hunks of black chicken and another with shellfish, pair well with long, golden-fried sticks of you tiao Chinese crullers. 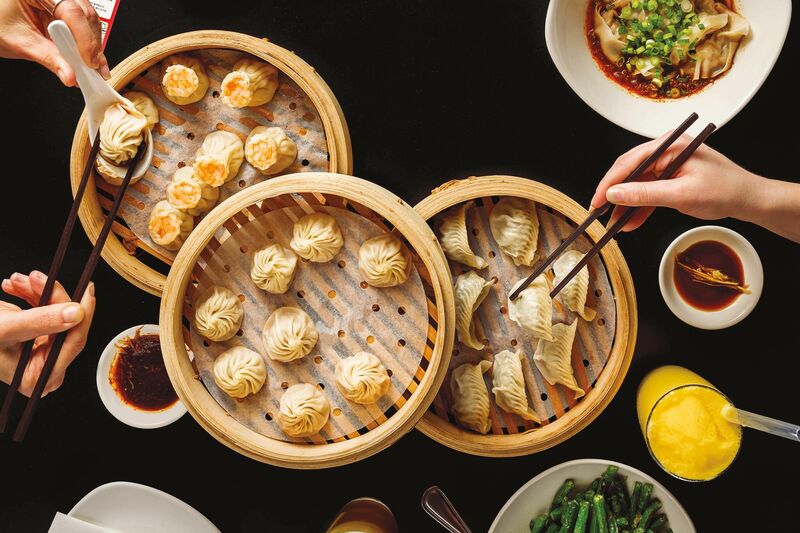 The most iconic Tianjin dish on the menu is a steamed dumpling called goubuli baozi. A sort of xiao long bao-meets-sheng jian bao, the purse-like dumplings have a juicy pork filling stuffed inside a squishy, steamed bun. They’re excellent dipped in the punchy, housemade garlic-peanut-sesame sauce. Though it’s only been open since March 1, Master Kong has already become a popular lunchtime spot, leaving little time for addressing growing pains. With a small staff and a menu of dishes made-to-order, a midday visit can be a frenzy of empty tables left unturned and waits creeping into the double digits for both food and seating. But come early for breakfast or after the lunch rush and you’ll likely be the only one in the dining room. And even if you do go at prime time, it’s worth a wait to experience this home away from home.